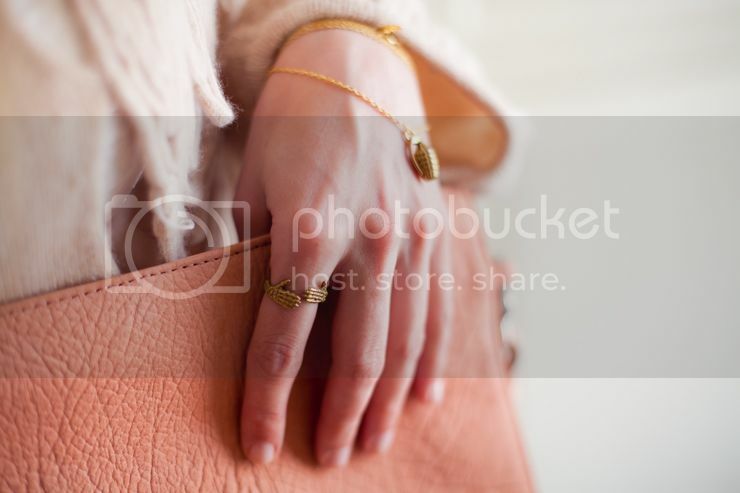 Beautiful clutch and awesome rings. Love the twin cross rings! Love the ring, very cool. The clutch is gorgeous ! I’m dying to buy a clutch, this one is perfect! Did you name your blog after Cocorosie ? This clutch is amazing !! Love the colors in the pictures! Beautiful clutch! Love the colour! just fell in love with the clutch. the colour is so happy and chic! Love the texture of the bag and the color. It’s almost fleshy like. 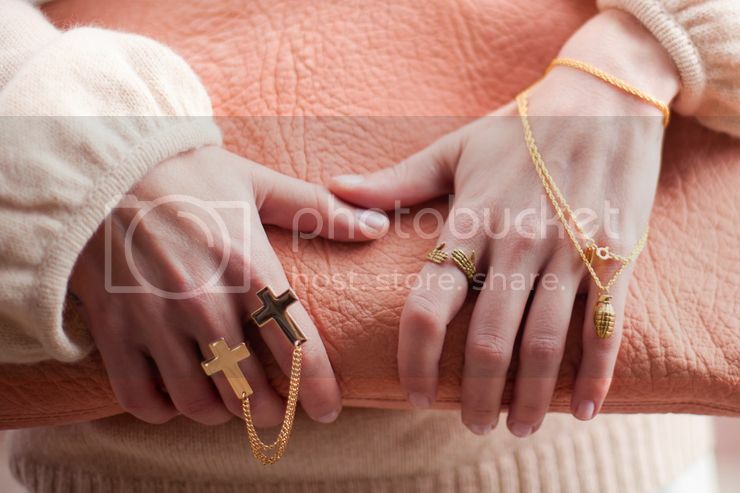 Whoa, the cross rings with chain dangling in between are the COOLEST! ik ben zo verliefd op je stijl! Love the grenade and the little skull ring ! May I just steal those rings off you? They’re absolutely gorgeous!